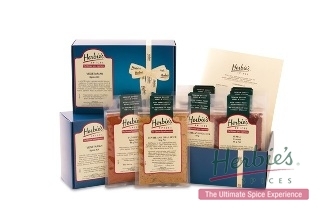 A new edition in soft cover of the classic herb and spice compendium by Ian Hemphill. 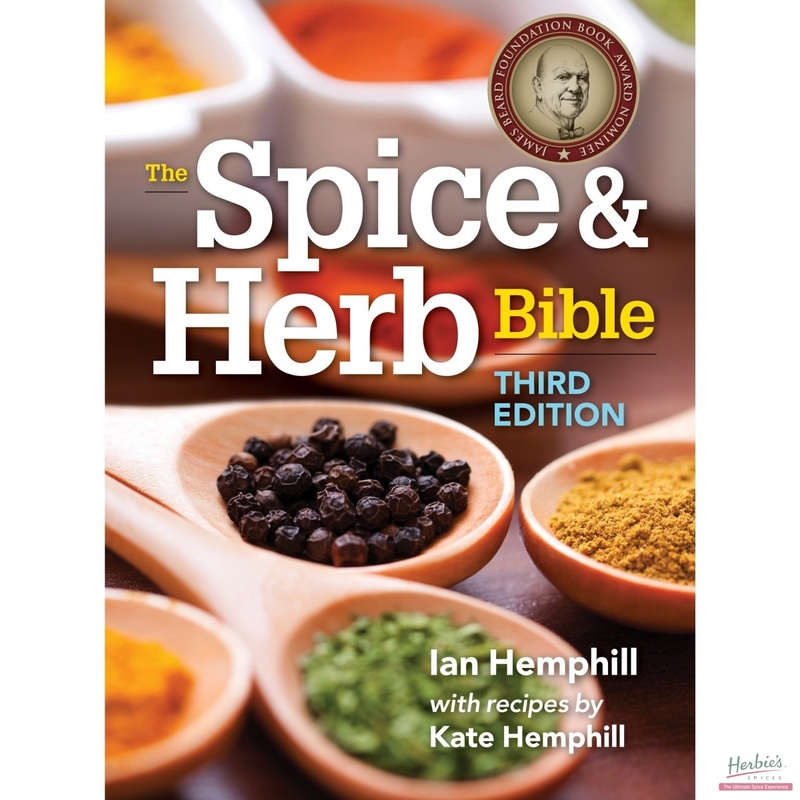 A new edition in hard cover of the classic herb and spice compendium by Ian Hemphill. 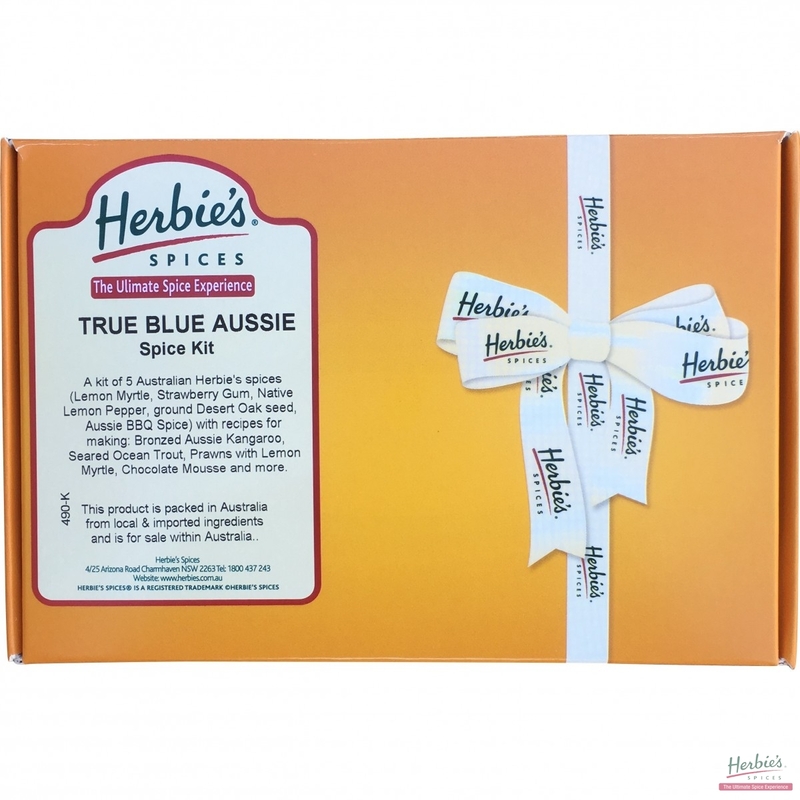 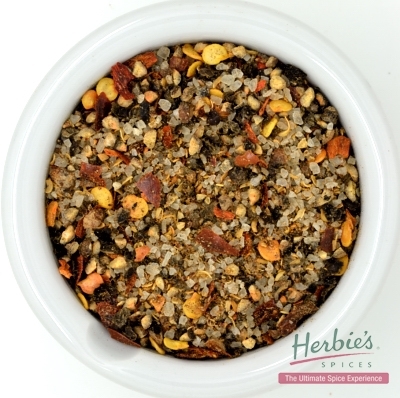 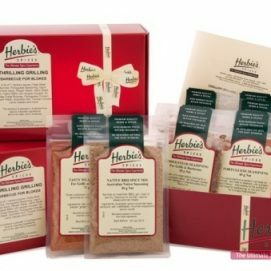 A Kit of 8 unique Herbie’s spices and blends; (Aleppo Pepper, Shish Kebab Spice, Green Spearmint, Cumin Ground, Sumac, Iranian Saffron and Baharat) with recipes included for making Lamb Gozleme, Skewered Lamb with Vegetables (Sis Kebap), Turkish Sausage Rolls (Borek), Burghul and Silverbeet Pilaf with Labneh and Tomatoes, Stuffed Cabbage Leaves (Dolmeh) with Tomato Sauce and Chicken and Vegetables (a version Tas Kebab). 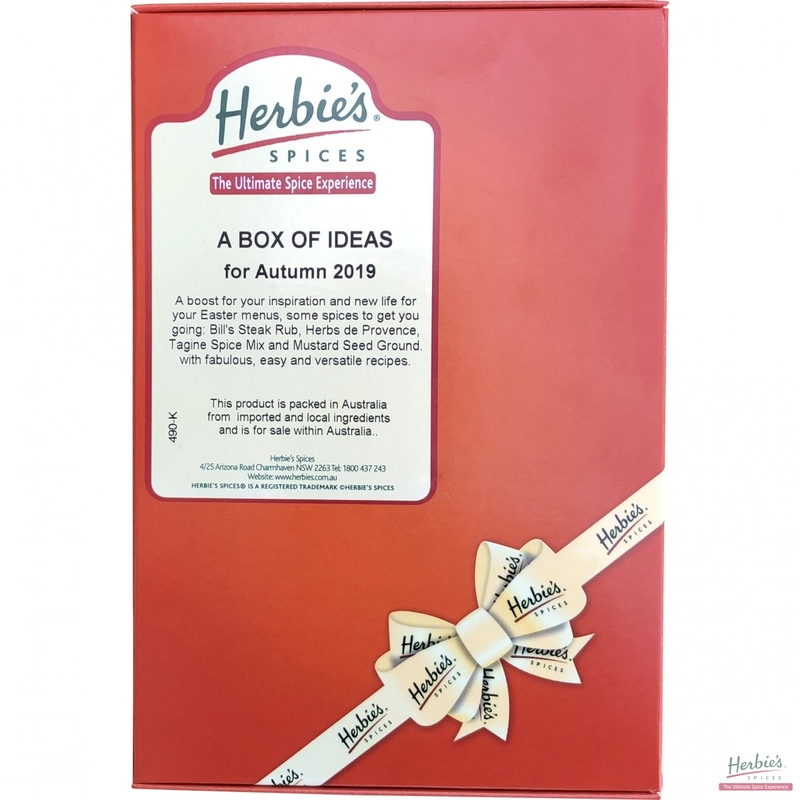 Seven spices and blends with six stunning recipes for those who prefer vegetarian – in a blue box. 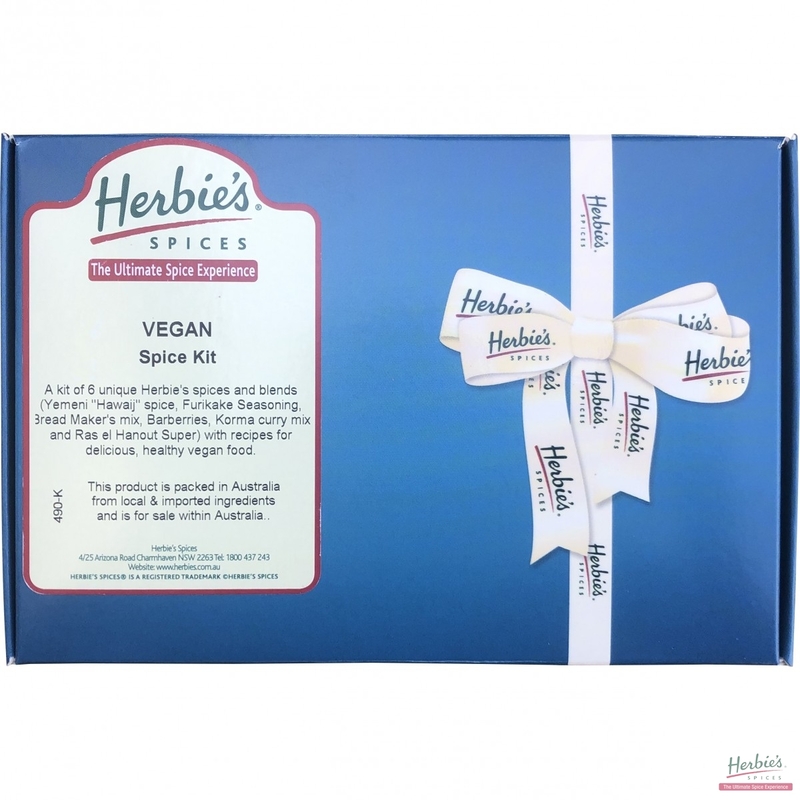 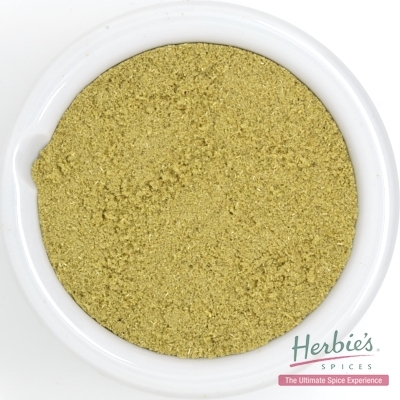 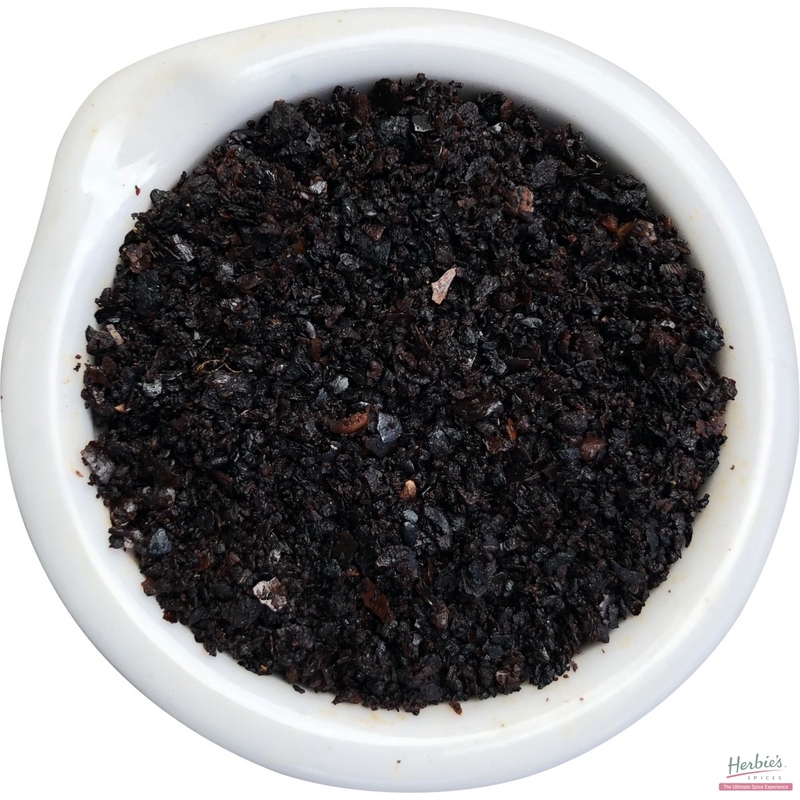 Contains: Barberries, Persian Spice mix, Brazilian Spice mix, Sumac, Sambar mix, Lentil and Dhal spice, Tunisian spice.